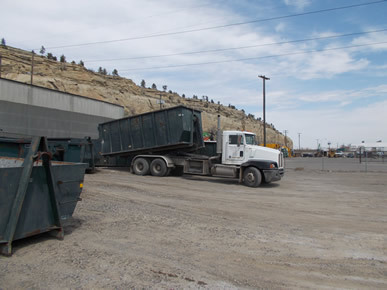 Renting a roll off dumpster is one of the most economical ways of disposing of excess home or remodeling trash. For the most part, the process can be quick and simple, but a few tips may help you avoid some of the potential pitfalls. Ordering a roll off from an “800” toll-free or nationwide “getarolloff.com” company may be a costly experience. There are many 1-800 or online companies that do not own any containers or trucks, but merely work as middlemen in the ordering process. They use cleverly constructed websites to lure you into ordering service from them at a grossly inflated price and then farm out the job to a local company, which could have provided a roll off container for much less. Most of these middlemen “brokers” are located out of state and in some cases are not even based in the U.S.
By contacting a local company you can avoid paying the “middleman”.